The President, Nigeria Football Federation, Mr. Amaju Pinnick, paid a courtesy visit to the company on Friday, November 23rd, to recognize and show appreciation of the Peak brand’s support to the Nigerian Super Eagles. 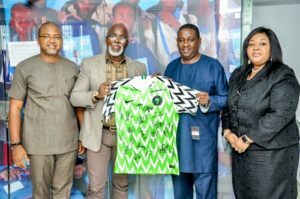 During his visit, Mr. Pinnick presented a personalised Super Eagles jersey, signed by the team to the Company’s Managing Director, Mr. Ben Langat. 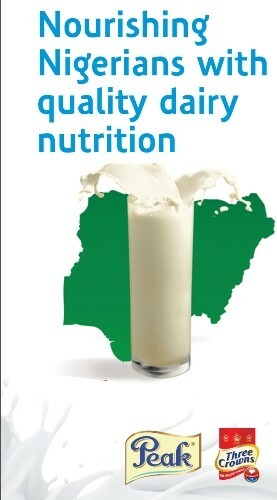 Peak Milk is the official milk of the Super Eagles, and also sponsors “Peak Breakfast”, an interactive session between sports editors on current issues in Nigerian football.